Remote control of distant telescopes has spawned numerous observatories all over the world! Remote operation of an observatory will dramatically change your time behind the scope which is the main reason it appeals to so many observers. My wife actually encouraged me to remote control our observatory since that would keep me around at night. Here is the problem; its VERY difficult to actually accomplish reliable remote control. Sure there are packages out there to automate the process but that's only part of the project. Here was my dilemma: Control the dome and scope and make sure they were pointing correctly. Sounds easy right? Software wise it's actually very easy but reliable communication, and ease of use can be quite difficult. So how did I solve the remote control reliability issue? When I was initially designing my remote control set up, several minor details sprung up that became major problems. Internet access is an absolute must for remote control for obvious reasons but because this hobby takes place far from populated areas there are limited choices available for Internet access. 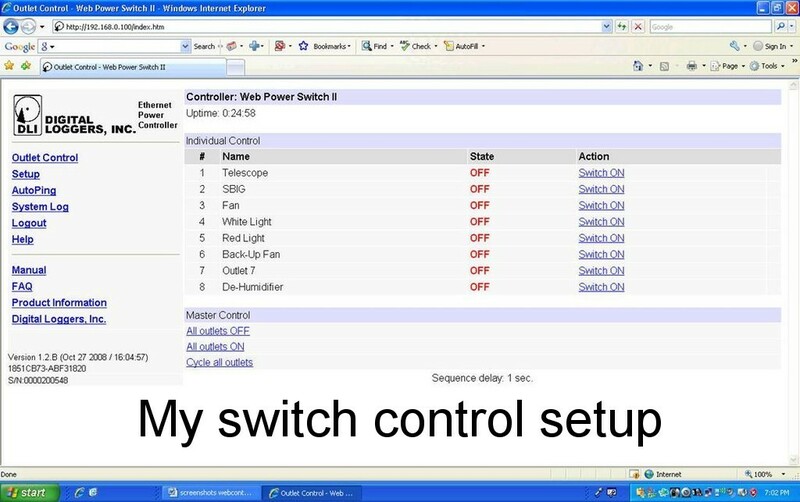 Currently there are several products on the market that offer remote control access to Internet connected computers such as, Go To My PC, Anyplace Control, and Teamviewer. 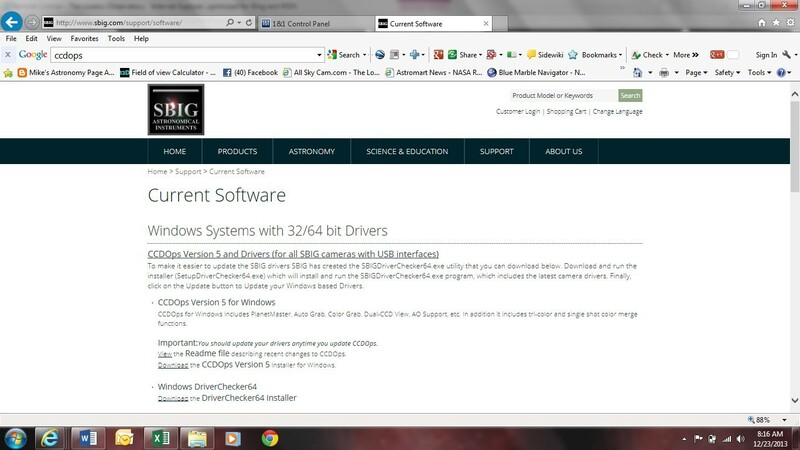 All of these companies offer great products that do come with some limitations; cost for one thing with Go To My PC which runs around $20 per month. Anyplace control requires you to purchase the software upfront and pay a minor fee for continued updates while Teamviewer IS FREE provided you only use it for non-commercial uses. I can tell you without a doubt that Teamviewer is the best application I have used for remote operation and it is not due to cost! 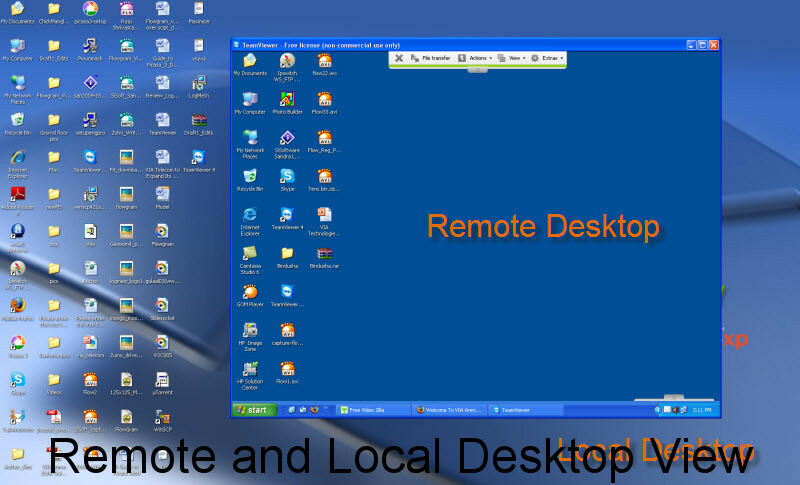 Teamviewer allows you to easily transfer files and have an actual tele-presence with your remote computer. Several other applications cannot simulate a user being in front of the computer where you have EVERY user option available, Teamviewer does this with ease. Teamviewer offers Apps for Android and IPhone and is easily set up on both PC and Apple computers. I can fully control my observatory from my Galaxy S3! 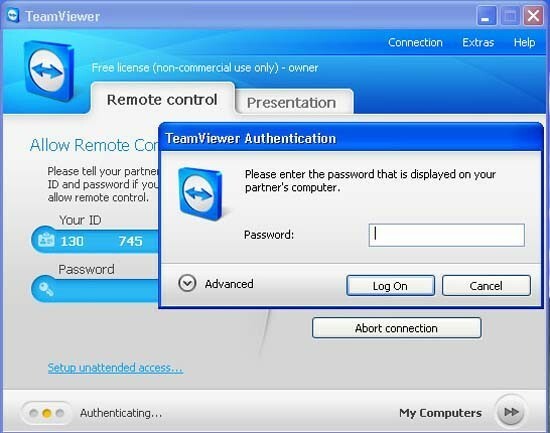 Teamviewer offers a Remote operation wizard to easily set up unattended access on distant computers with encryption security. 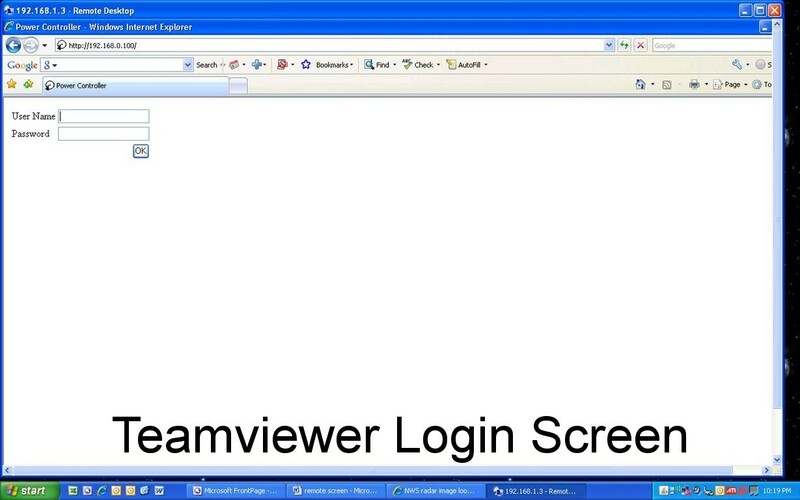 Check out Teamviewer here! One other issue that came up was the decision to leave the power on between imaging sessions or find some way to remote-control power operation. Digital Loggers is a company that manufacturers a product called the Web Power Switch that offered the perfect solution to my problem. This power switch comes with a total of 10, 110 volts, 15 amp outlets, eight of which can be controlled remotely over the Internet. This product has its own NIC (Network card) which enables the user to access it over the Internet and turn on or off specific outlets. TheWeb Power switch was the perfect solution to my problem of having to leave on the telescope and the camera for extended periods of time. After using this switch for some time, I would highly recommend utilizing a crossover cable rather than a standard Cat5e cable. 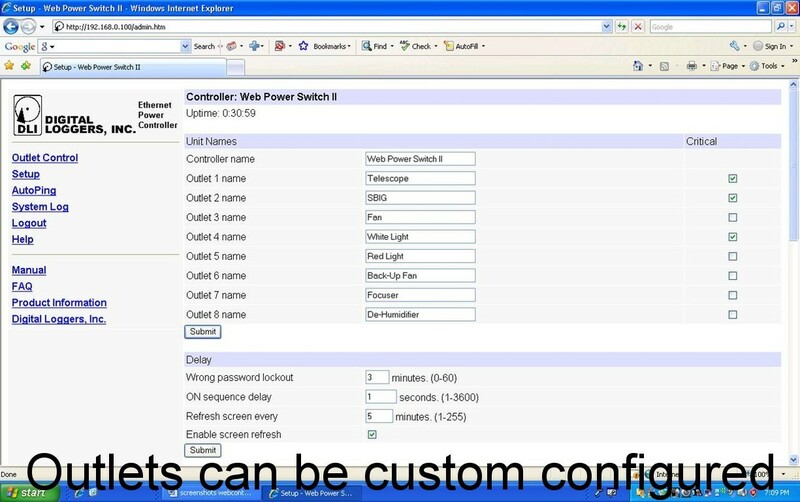 The reason I use crossover connection is that it is actually a bit more secure because utilizing a crossover cable to access the switch means it is not available floating around on the Internet as an IP address but is rather associated directly with the computer. Once you're able to gain access to the switch, you are able to configure each of the eight controllable outlets and rename them according to the device that you plan to plug into them. This Web switch is a high-quality product, well-made and even has its own cooling fans and slots for mounting. The best part, the switch itself is only about $120 and it works perfectly. 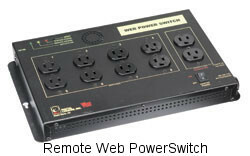 I would not even attempt to remote-control without this Web power switch! The screenshots below show my Web Power Switch setup. You will need staple software items to make remote observatory control work correctly. First Maxim DL is an excellent program for controlling both your camera and observatory dome (through MaxDome II observatory dome control system). MaxDome II works as a sync mechanism with your scope and dome and allows the dome slit to be centered on the telescope. I have used Maxim DL and MaxDome II for years and they are essential to my observatory operation! 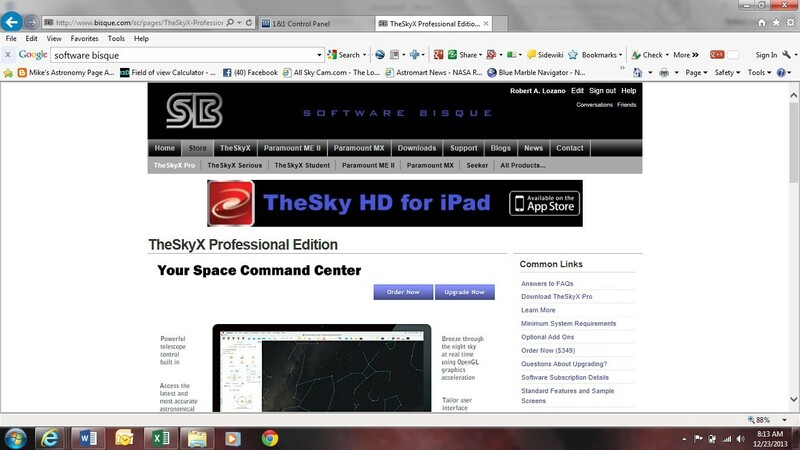 The SkyX by Software Bisque is an essential tool I use to locate targets I want to image and assure my mount is aligned using a plugin program, Tpoint. Tpoint analyzes the telescope pointing by comparing your telescope's pointing with Tpoint's model and directing the user how to adjust the mount to produce the best Polar Alignment. Precise Polar Alignment is essential for Astrophotography so one should not image without The SkyX Pro. I do realize The SkyX Pro is expensive but should you desire to perform serious astrophotography, it's essential. Only the Pro version of The SkyX is capable of Plate Solving which is where the imager analyzes an image and matches the stars in that image to a database of stars to calculate the exact position of the telescope. The SkyX Pro is also required for using CCDAutopilot which can COMPLETELY automate your imaging! As you can imagine, Plate Solving requires a large database and a very complex program to process the data and correctly point the scope; the SkyX Pro is the program you need to complete this! CCDOps is an imaging program that comes with SBIG cameras. While CCDOps has some terrific features it is mostly for basic camera control and I do not use it for imaging anymore. I have found CCDOps very useful for centering my image targets. I may point my scope with Maxim DL but I always fine center the images with CCDOps. 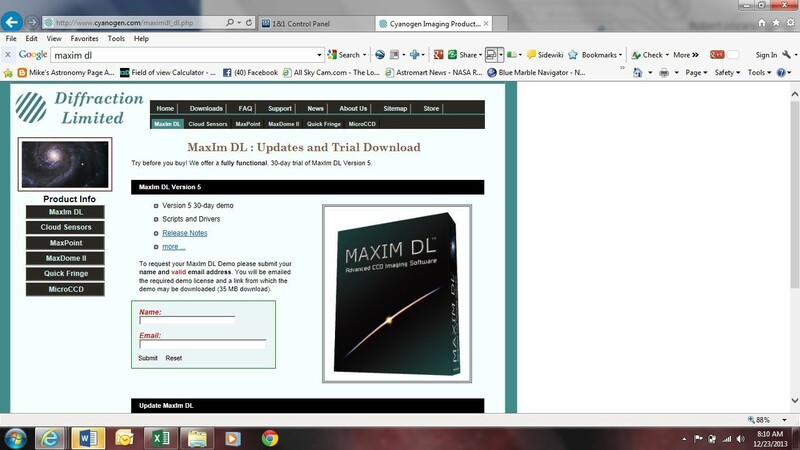 I have tried using Maxim DL but I have found the images load slower and the resolution is not what I would like to see. I am using CCDOps to further fine tune my mount's polar alignment and will post the results later. Lastly, I am using FocusMax (in conjunction with Robofocus, an electronic focuser) to focus ALL my images. FocusMax is FREE and produces amazingly sharp focused images once the software wizard is completed. The program uses Full width at half maximum (FWHM) which is an expression of the extent of a function, the in and out of focus of the image where the goal is to produce the smallest average between the values of focusing (the middle of the curve) thus producing the sharpest focus. It sounds more complex than it is but be assured it produces great results! 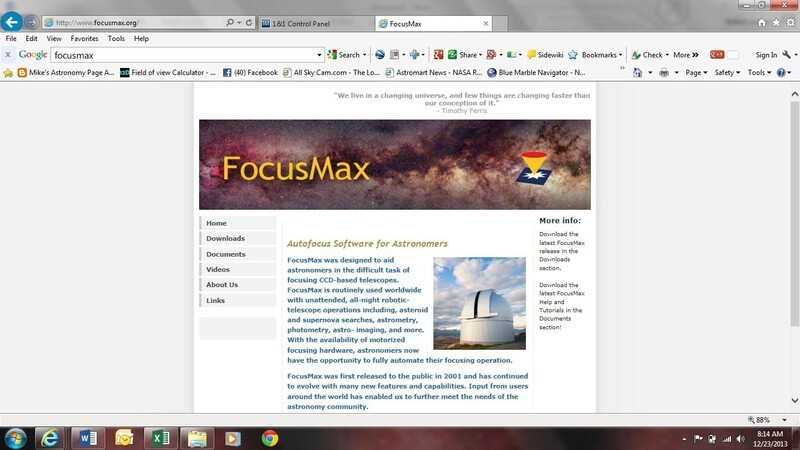 FocusMax, don't image without it!